Why is G.hn ideal for smart cities? Last month I spoke at the Smart Cities International Symposium & Exhibition in Chicago. The two-day event bought together thought leaders and practitioners from around the world to discuss and explore what it takes to turn a smart city concept to a reality. 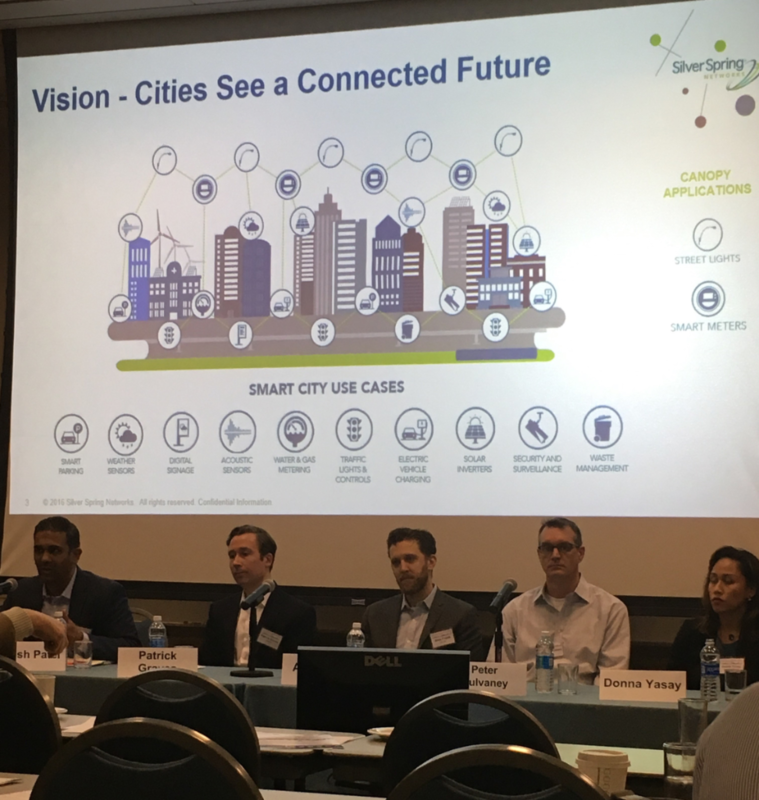 This covered; redefining what a smart city is, infrastructure and networks, sustainability, and leveraging Advanced Metering Infrastructure (AMI) to interconnect smart city technologies. Speaking on the latter panel, I explained why G.hn is ideal for smart cities and the benefits of implementing G.hn technology, which are two-fold, and of relevance to both consumers and businesses alike. Consider this: G.hn delivers multi Gigabit, high-quality experiences to end-users while simultaneously saving on the existing operational infrastructure costs of the city. This is because G.hn utilizes the existing wiring already in place within buildings and MDU’s for deployments such as AMI. The advantages of G.hn are easily recognized when compared to other technologies. For instance, G.hn over coax can deliver IP data up to 5000 feet, whereas Ethernet cable can only go to 300 feet maximum. In addition, G.hn can “reverse power” where AMI technology requires the maintenance of putting a battery in each meter. G.hn is the smart technology for smart cities of tomorrow – cities requiring an advanced infrastructure that can keep pace with technological developments. G.hn does this, while adding security through encryption, blocking out interference and increasing connectivity performance. If you’d like to know more about G.hn or the HomeGrid Forum, we’ll be speaking at the IoT Evolution Expo in Florida, February 7-10.